All the way back in February, we wrote a blog about a few of our favorite restaurants, highlighting Cafe Terracotta, Farm House at Breckenridge Brewery, The Melting Pot, Toast Fine Food and Coffee, and McKinners Pizza Bar as some of the best in the area. The truth of the matter is that there is so much good food in our neck of the woods that one blog just couldn’t contain it all. And that’s why in today’s post, we’d like to bring attention to three more restaurants that we think are worth checking out when your stomach starts to rumble. And, of course, our luxury apartments for rent here in Littleton make for the perfect base of operations from which to take a culinary adventure. If you’re looking for somewhere to live, contact us today to schedule a tour! A “restaurant concept featuring a unique menu that blends ocean fresh seafood, sushi and house smoked specialties such as prime rib and slow smoked pork,” Smokin Fins is well-loved by the people of Littleton. With a menu that boasts such playful foods as Lobster Tater Tots, Kickin’ Shrimp, and Key Lime Calamari, there’s a lot to love. And those are just the appetizers! 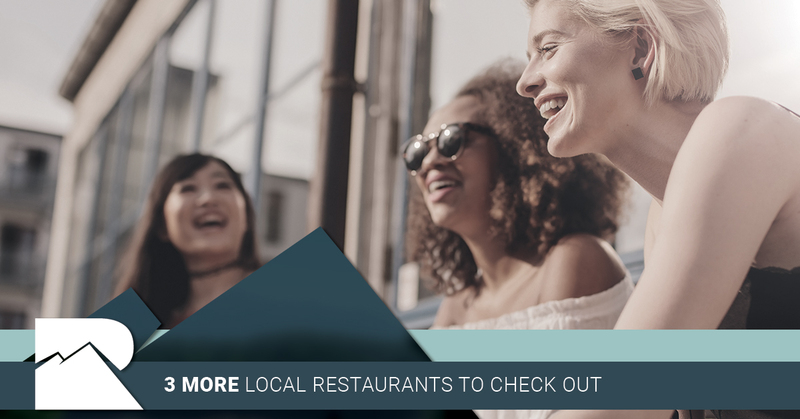 They also offer a great selection of tacos, rice and noodle bowls, and more, including Fish and Chips, Nashville Chicken, Kahlua Pig, and Cedar Salmon. No matter what you’re craving, you’re sure to find something to love at Smokin Fins. With many locations across the country, Littleton is glad to have The Lost Cajun as the go-to place for unique and delicious foods. Whether you prefer a classic like a seafood gumbo or a Louisiana favorite like the fried catfish plate, you’re in luck. The Lost Cajun even offers Po Boys, Beignets, and a pretty great menu for the kids. Highlights include their Cajun Stir Fry Shrimp, Fried Oyster Plate, and Seasoned Fries Basket, but while you’re there, enjoy a bowl of Lobster Bisque if you’re in need of a real treat! Since 1990, Damascus Grill has been serving up some of the best Middle Eastern cuisine in the area. When you’re in the mood for something wholly unique, Damascus Grill is hard to beat. From appetizers like grilled mushrooms, hommos, and lamb pie to main dishes such as shawarma, Syrian sausages, mousaka, kababs, and more, there’s always something new to try that’s sure to become a favorite. All it takes is a look at their Google reviews to see how well loved this restaurant is, and at the time of this writing, it holds 4.5 stars among 334 reviews. In other words, it’s pretty much universally loved. If you’re looking for something a little bit out of the ordinary, be sure to head on over to Damascus Grill to try something different than what you’re used to. Are You Looking for a Luxury Apartment for Rent in Littleton? As we mentioned above, Littleton is a wonderful place to make your home in. It just makes sense though to make sure that you live in one of the best apartment complexes in one of the best cities in the state. At Summit Riverside Apartments, we’re tucked into an incredible neighborhood that’s home to some of the best restaurants in the country. It also doesn’t hurt that we offer a number of great floor plans, so whether you’re looking for a 1-bedroom apartment, a 2-bedroom apartment, or even just an apartment with a loft space, we have you covered. Contact us today to schedule a tour and see for yourself. We look forward to hearing from you!